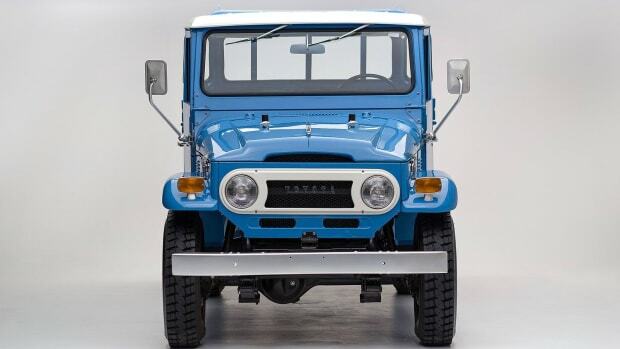 Toyota's souped up off-roader is ready for the road less traveled. Toyota&apos;s racing development team has brought back the Tacoma into the TRD Pro line and boy, does it live up to its "Pro" nameplate. 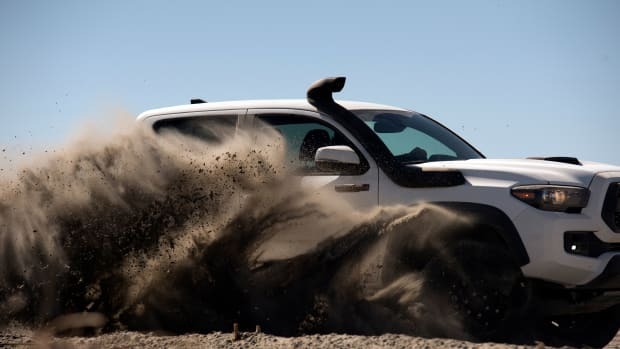 Targeted at off-road enthusiasts, the new truck boasts all new factory-installed equipment that&apos;s ready to tackle the toughest of terrains, whether it be snow-covered trails or or the sandiest of tracks. The truck is based on the Tacoma TRD Off-Road 4x4 Double Cab Short Bed and is spec&apos;d with a 6-speed manual or 6-speed automatic and features 16-inch TRD black alloy wheels with Goodyear Wrangler All-Terrain Kevlar-reinforced tires, TRD Pro aluminum skid plate, Rigid Industries LED fog lights, projector-beam headlights, LED daytime running lights, FOX Shocks, and TRD-tuned springs. 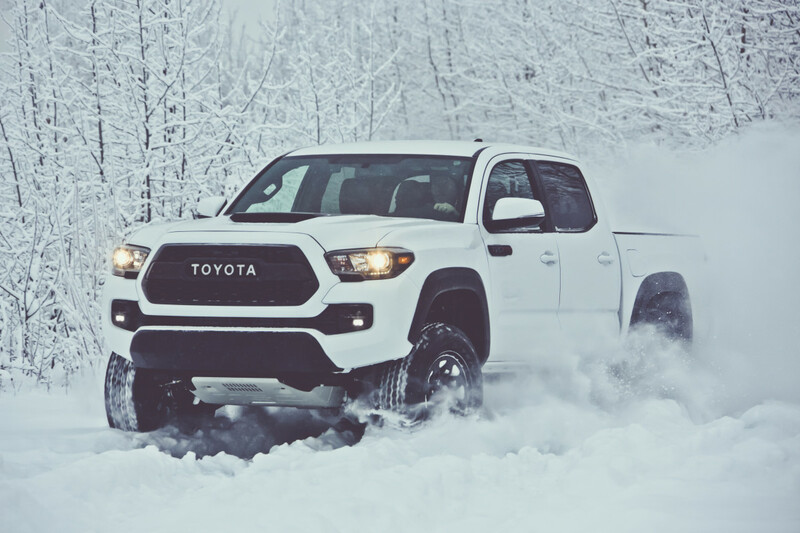 Look for the 2017 Tacoma TRD Pro at dealerships this fall. 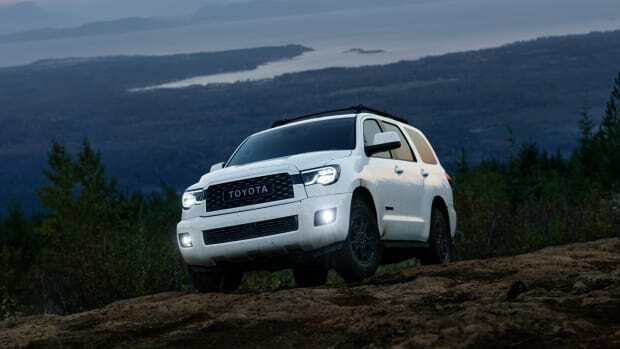 A host of new off-road equipment comes to the Tacoma, Tundra, and 4Runner. And it can be all your's for $87,000.